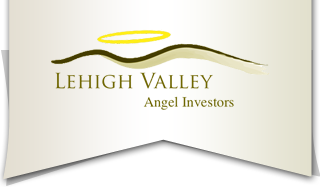 The Lehigh Valley Angel Investors Co. (LVAI) was founded in 2011 by a group of entrepreneurs in the Lehigh Valley, which includes Allentown, Bethlehem, Easton, Reading and surrounding areas. The purpose of the organization is to provide resources and a community of entrepreneurs to connect with. LVAI members are accredited and experienced investors who are interested in providing seed, or growth, capital investments to startup companies. At an organizational level, LVAI does not do any of the investing. All investments are made by the individual members of LVAI. Investments made by individual members are often made in startup companies located in and around the Lehigh Valley, but is not limited to just this area. LVAI was brought together by a small group of accredited investors to fill a void in angel investing in the Lehigh Valley and surrounding area. Membership in the group has grown since its founding to about 50 members in two cities. Membership is generally by invitation. LVAI members must be accredited investors. We welcome all startup companies, especially those located in the Lehigh Valley, to contact us. All companies will be screened, and those selected will be invited to present to LVAI and its members. LVAI and its members usually meet monthly and will review company presentations at these meetings based on our schedule and priorities.